Alex Hagen was completely unaware that his late shift as an Uber driver in Manchester would see him entertaining Grammy Award nominated and Billboard Gospel Charts topping artist, Todd Dulaney as a customer. Or that he would receive a personal invite as a special guest to the North West’s biggest Gospel music event, Festival Of Praise which took place on 11th January 2019. 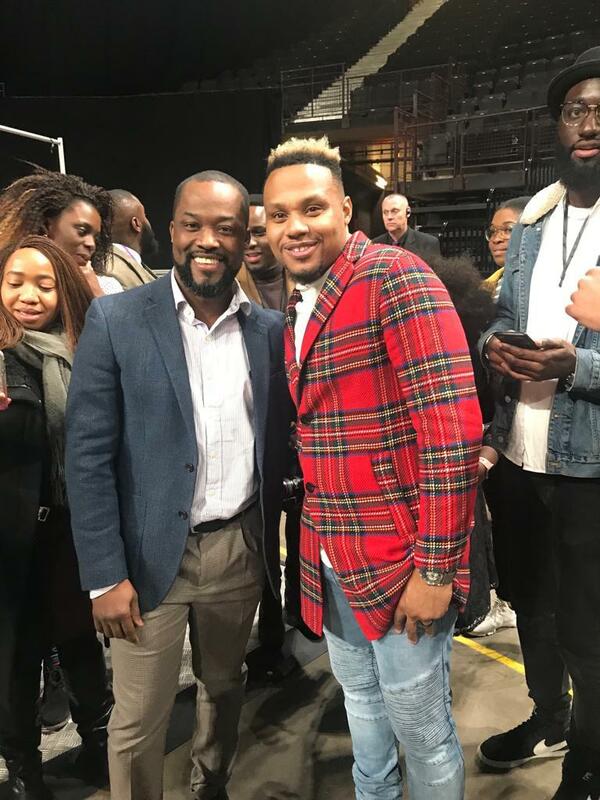 ‘Victory Belongs to Jesus’ singer Todd Dulaney and his wife Kenya were in Manchester preparing for Todd’s headlining performance at Festival of Praise which annually commands an audience of at least 5000 - 8000 people from across the UK. The night before the event the couple decided to go to Manchester’s popular and trendy city centre area, the ‘Northern Quarter’ for a meal. Upon entering their Uber, Todd recognised that Christian music was playing on the radio and proceeded to introduce himself to the Uber Driver - Alex Hagen. The conversation was followed by excited screams as both Alex, his choir master on the phone and the choir master’s wife in the background couldn’t believe that they were speaking to Todd Dulaney himself. Their reaction was caught on camera and uploaded to Todd’s instagram page where it has received over 20k views. The Chicago based singer/songwriter is a former professional baseball player who was drafted by the New York Mets before trading his baseball bat for a microphone. Since then he has been nominated for an array of awards including the Stellar awards, Dove Awards and Grammy awards. Todd believes that his time in the league prepared him for his time in ministry. His most recent single ‘You’re Doing It Again’ was recorded in South Africa and dropped on the 1st November 2018. It’s available on all digital outlets including Spotify, Google Play, iTunes and Amazon Music.